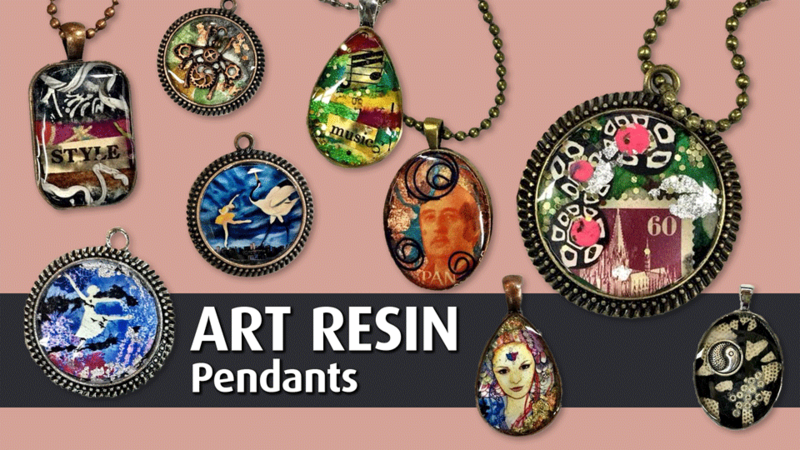 Create your own professional looking jewelry using the product that makes them look shiny and expensive...Art Resin! You'll get three metal bezels to create designs in using collage, polymer clay and three dimensional embellishments, then you will learn how to mix and pour resin to give them a perfectly beautiful topcoat that will cure to be tough and durable. Once you try it, you'll want to resin everything! Due to the 24 hour dry time you will need to pick up your projects the next day.